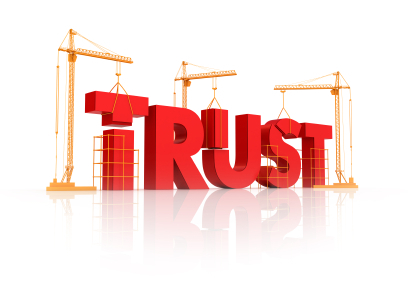 I have said over and over again that trust is the glue that binds business relationships. The overarching goal of any business activity whether it be sales, marketing or networking is to develop a level of trust with your client base and prospects. Stephen Rhodes wrote an excellent piece on trust earlier this year and reinforces the link between trust and business growth. 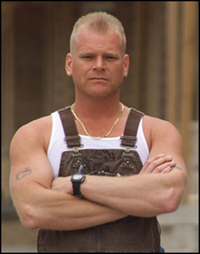 I had the pleasure of meeting Mike Holmes a few years back when we where keynote speakers at the Construction Safety Association’s Annual Conference in Toronto. He is extremely passionate about the construction trade and gets visibly angry (I wouldn’t want to get this guy upset) when recounting stories about families who have lost thousands to crooked or inept contractors. 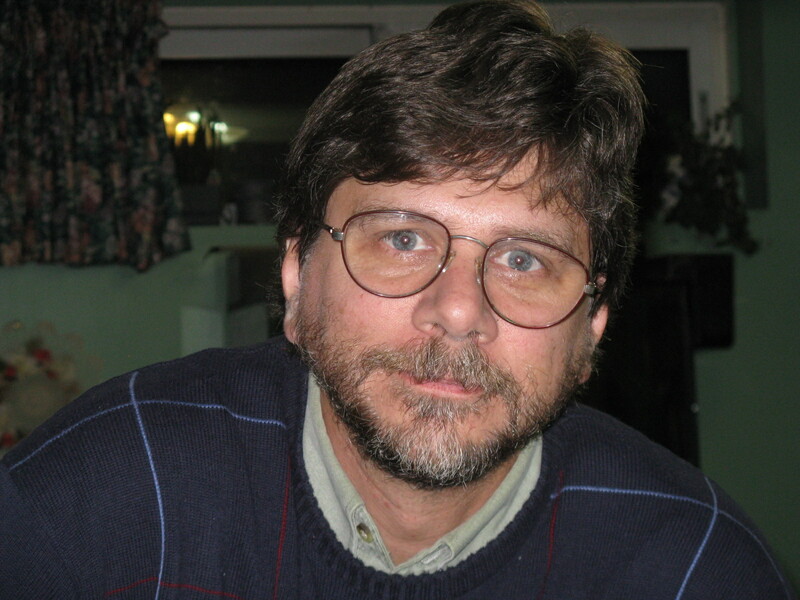 He has spent many years correcting mistakes and building an aura of trust. Although you may know him from television, he also has 4 books, a complete line of merchandise, and a charitable foundation that works to raise the profile of trades and encourage kids to enter the profession. Holmes has 5 simple rules for any person looking to hire a professional contractor and these rules can easily be applied to any business model, whether it be B2B or B2C. Stay involved in the project. Provide written documents outlining the services you sell, do what you say you will do. Ensure that the client has input at various milestones in the work you do. When you follow the Holmes guidelines, you will most certainly develop trust and build long-lasting relationships. This guy doesn’t just know how to build homes, he has clearly demonstrated his ability to build a business, a model that we could all follow! The big not- for- profit brands in our country have built a trust among their followers and supporters. The biggest brands, YMCA, Salvation Army and United Way have strong social capital. I have manned a Salvation Army kettle at Christmas time and watched people fill it with money, and many without knowing precisely what the Sally Anne does in our community. Trust is powerful stuff. Trust is something most commercial brands would kill for. Of course, you have to earn it. I was thinking about the challenges these organizations face in a slow economy and I had a chance recently to chat with fellow Rotarian David Fitzpatrick, chair of board of the Kitchener Waterloo United Way. Dave happened to mention that his board had adopted a more strategic approach to meeting its community obligations. United Way is shifting from being an organization that waits for fundraising results to determine what needs can be met, to becoming an organization that first identifies the most pressing issues in the community, and then mobilizes the necessary resources to meet these needs. It’s not surprising that community needs have grown beyond what the annual campaign can raise. With the focus on building long-term change that meets local priorities, and investing where United Way can have the greatest results in their community, the emphasis is placed on strategic goals and not annual fundraising results. Fundraising in fact becomes a longer term campaign over 3 years or even 5 years. From a marketing perspective, it provides a set of priorities around which the community can rally, less reliant on one year’s campaign goal, particularly important in tough times. In our last newsletter my partner Jeff Bowman talked about the value of building trust when including Social Media in your marketing portfolio. It’s really no different than the time and effort required to build trust in a networking group. Your new friends need to know something about you before they are likely to stake their reputation by referring you to one of their customers. Networking online or in person is not about the hard sell. If you are hoping to establish long-term relationships your need to do little courting first. A kiss on the first date is out of the question. So, as Jeff says, limit how much you talk about yourself – or your products and services –and provide ways to help others instead. Be an expert, a resource for others and you will be surprised how that will build a following. Look for micro communities –social communities that are relevant to your business. Get involved. Leave comments, so people will see you as an expert. If you submit content, make sure it’s useful and unique. Social media takes work. And initially, it will seem a little daunting, but the results will come with diligence. Like face-to-face networking, the return on investment will take some time to materialize. But, it’s well worth the effort. Chris Brogan and Julien Smith, have written an excellent book Trust Agents on how to build trust. These two fellows are well ahead of the curve on what undoubtedly is the new frontier of marketing. I see the Canadian Amazon link shows it’s temporarily out of stock. Be patient or check this link.